To enable estate owners, ecologists and conservationists to better understand the fungi on their property, Andy Overall provides surveying and consulting services and strategies for interacting and maintaining a balanced fungal environment within your property. This will include conservation, biodiversity, mycelia interactions and the protection of red data species. Andy has conducted a number of surveys within the United Kingdom including Hampstead Heath, Home Park/Hampton Court Palace, Kensington Gardens, Bushy Park and Richmond Park. Further ongoing studies are also being conducted within the Kenwood Estate, Hampstead Heath, Epping Forest, Wimbledon Common and the New Forest. 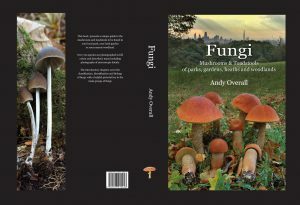 Andy also provides educational workshops in and around the London area and has close ties with the Mycological Dept. at Kew Gardens. Please see examples of these surveys.